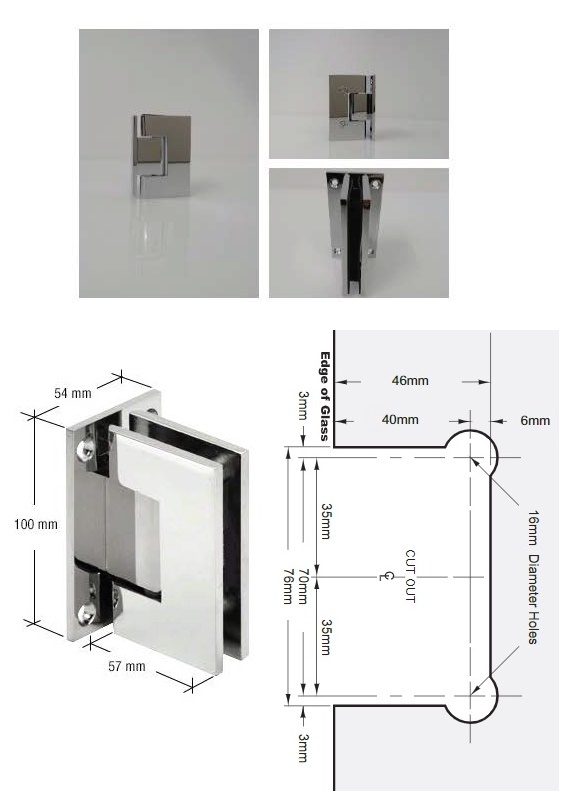 Description High quality chrome hinge full back mount suitable for 8mm-10mm glass, max width 950mm max weight 45kgs. ​The Suffolk hinges are the best option for wider heavier glass doors. ​Self closing at 10° approx.